Make your room a wonderful one with a bright idea and decor it with this Crystalline Shade LED Lamp. You need not run out of ideas, and will surely get everyone’s eyes roaming around in your room. Keep it on your desk and see the magical effect. 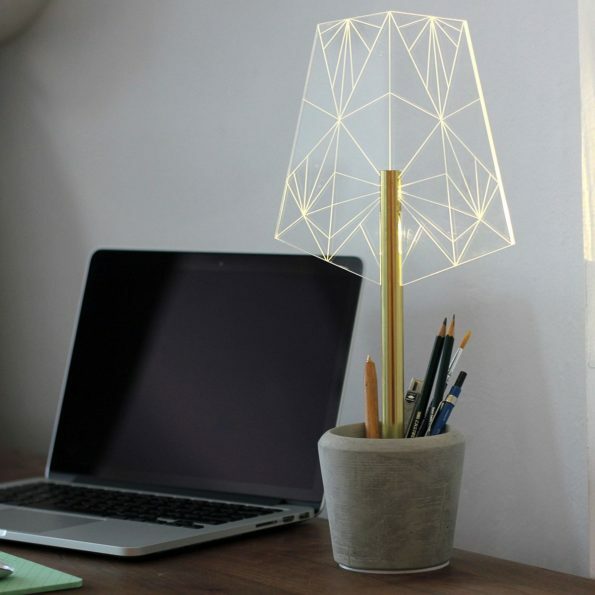 This LED lamp is basically geometrically etched “shade” which glows with light from a series of LEDs. So don’t wait and choose this as your desk mate!! !